The nationwide law firm of Bernstein Liebhard LLP is now investigating potential Apex K2 hip implant lawsuits on behalf of individuals who may have experienced premature failure of this modular hip replacement system. Reports recently published by a prominent medical journal and an Australian joint registry indicate that these devices could be associated with unacceptably high rates of early failure and revision surgery. Recipients of the Apex K2 Modular Hip Replacement System may be entitled to financial compensation if they were forced to undergo surgery to replace their device within just a few years of their initial implant procedure. Apex K2 Modular Hip Replacement System: What’s the Problem? The Apex K2 Hip Replacement System is a modular hip implant that consists of interchangeable necks, stems and heads. The system’s modular design allows a surgeon to create a customized fit for each individual patient. All of the Apex K2’s stem and neck components are constructed of titanium alloy, with the exception of a ‘Dual-Press’ modular connection at the stem/neck interface that incorporates a cobalt-chromium anti-rotation peg. Hip replacements are intended to last for 15-to-20 years. In 2012, data from the Australian Orthopaedic Association National Joint Replacement Registry indicated that 5.5% of patients fitted with the Apex 2K hip system underwent revision surgery to replace a failing device within one year of initial surgery, while 9.3% required revision at the three year mark. 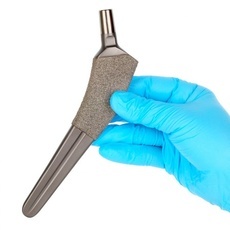 These unexpectedly high revision rates prompted the Australian Therapeutic Goods Administration (TGA) to rescind approval for the Apex K2 Femoral Stem, and the device was voluntarily removed from the market in that country. Additional concerns regarding the Apex K2 hip were reported in October 2015, when the Journal of Arthroplasty published a study conducted by a group of Australian researchers who had spent two years following 95 patients fitted with the modular hip system. Among other things, the paper noted “potentially concerning subsidence (breaking down) of both stems” and “corrosion (wearing down)” of the neck and stem. A number of study subjects developed aseptic, lymphocyte-dominated vasculitis-associated lesion ( ALVAL), a reaction to metal particles shed by the hip that may result in pain, swelling and pseudotumor formation. At least two patients underwent two-stage revision surgery for deep joint infections, while others reported dislocation, blood clots and additional complications. Am I Eligible to File an Apex K2 Hip Implant Claim? Filing a claim against OMNI, the manufacturer of the Apex K2 hip implant, may allow you to obtain compensation for medical bills, lost wages and other damages associated with your injuries. If you would like to pursue these legal rights, the attorneys at Bernstein Liebhard LLP are available to review your case free of charge. Should our legal staff determine that you have a valid claim, you will be under no obligation to file a lawsuit or retain our law firm for your case. However, if you do choose to move forward with the assistance of Bernstein Liebhard LLP, you can rest assured that you will not be charged any up-front legal cost or attorney’s fees. Because the Firm is representing Apex K2 hip implant plaintiffs on a contingency basis, our clients are only assessed legal fees when and if their case concludes with a settlement or judgment in their favor. At that point, your fees will be deducted from a portion of the recovery. There is NEVER an obligation to pay ANY legal costs at all if the case does not conclude with a financial recovery for our client. If you would like to find out more about the qualifications for filing an Apex K2 hip implant lawsuit, please contact Bernstein Liebhard LLP today. You can arrange for your free, no-obligation legal review by calling (888) 994-5118.